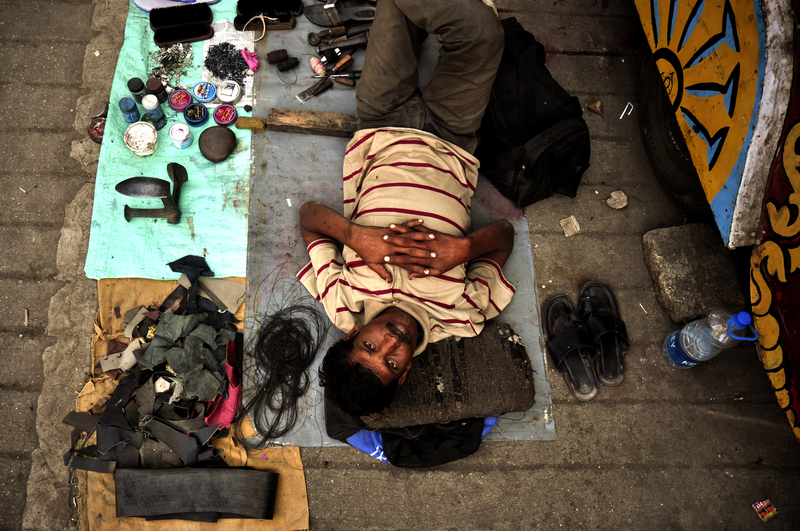 Shoe polisher, India has been submitted to ‘Rethinking Portraiture’ on National Geographic. Kristian Bertel has contributed to the Nat Geo Your Shot community with an assignment called ‘Rethinking Portraiture‘. Curated by Kristen McNicholas, an associate photo editor at Nat Geo Your Shot, we should take our time to study what we learned from Maggie Steber’s story in National Geographic magazine and make some new portraits for this assignment. As Kristen is saying it: ”- Coming off of Maggie Steber’s “Not Just a Face” assignment, how have you been rethinking portraiture and did you find inspiration after your submission and did you see a photograph from her story that sparked an idea for a portrait you wanted to make. Now that Maggie’s story has launched, I want to offer you another opportunity to participate with a short follow-up assignment. Submit photos that challenge the typical expectations of a portrait and illustrate the person’s story beyond their appearance. I don’t have rules on what kind of portraits you submit so images with faces are, of course, allowed. I want to build on what Maggie started!”, she says. A portrait is a painting, photograph, sculpture, or other artistic representation of a person, in which the face and its expression is predominant. The intent is to display the likeness, personality and even the mood of the person. For this reason, in photography a portrait is generally not a snapshot, but a composed image of a person in a still position. A portrait often shows a person looking directly at the painter or photographer, in order to most successfully engage the subject with the viewer. People are also relatively good at determining if a smile is real or fake. A recent study looked at individuals judging forced and genuine smiles. While young and elderly participants equally could tell the difference for smiling young people, the older adult participants outperformed young adult participants in distinguishing between posed and spontaneous smiles. This suggests that with experience and age, we become more accurate at perceiving true emotions across various age groups. The photographer has been interested in portrait photography for a long time. Especially also when the photographs also are showing the work conditions of India. In the submitted portrait we see a shoe polisher taken by Kristian Bertel | Photography. Places, where his photographs are a response to people and the substance of their lives, like in this photo where a shoe polished is taking a break in Nashik, India. When you are out and about in the markets of India, do not be put off by those who come and approach you and offer you to polish your shoes. In India they repair things and they tend to repair it till it completely disintegrates. In western countries, people polish their own shoes but in India, having your shoes polished is so cheap that many some people do not bother buying shoe polishes and brushes. They just have it on the go. Shoe shiners might have phased out in Western nations but it still exists in India and some other parts of the world. But nonetheless, these shoe polishers in the streets do exist and its worth having it done. In fact, they can repair shoes as well. Shoe polishers are usually concentrated at large gatherings such as near the railways platforms, bus stops, markets and so on. The price for shoe polish is around 20 Rupees but if you get it repaired then it will cost a bit extra. The shoe polisher will ask you to take your shoes off one by one while he polishes or will ask you to place your foot on a pedestal. However, there is one sad element to this. Many of these shoe shiners are mainly children. Rather than going to school, they have to go out and make a living polishing shoes. So rather than ignoring and shooing them off, try their services. ”- You might feel a little intimidated about the situation but these shoe polishers or shoe shiners or boot polishers – whatever you like to call them are actually trying to make a living. They are not begging or trying to con you, they are simply offering a service which you will not get anywhere in the western world”, the photographer Kristian Bertel says.